Aislin started her career working with animals at McMaster University. 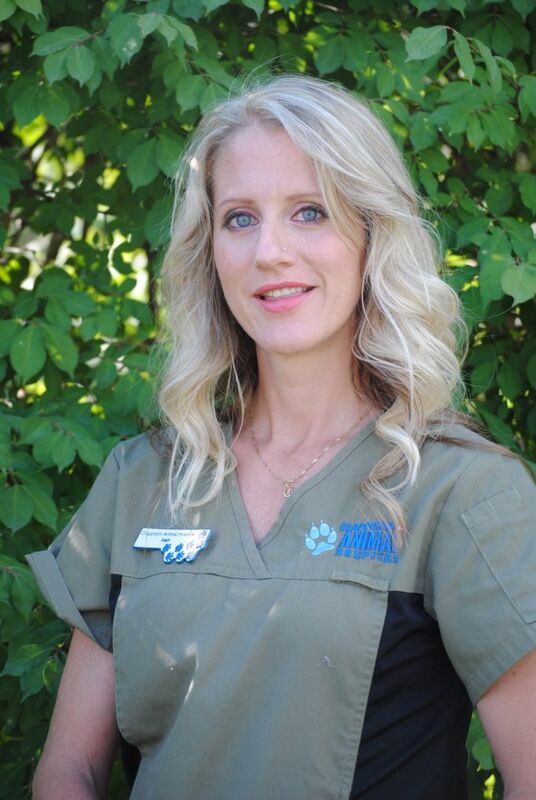 She then attended Sheridan College for Animal Care. Aislin has been at Clappison since 2001. An area in the veterinary industry that interests Aislin most is Feline behaviour and veterinary surgery. Her favourite thing about the clinic is working with great people every day. What she loves most about her job is assisting in surgery and anaesthetic monitoring are two of Aislin's key roles. Aislin devotes her spare time to showing and raising rabbits, as well as competing in local equine events. Also, her first pets were Duke and Dutchess, her childhood rabbits.